"The Nuggets remaining games split five at home and six on the road. This trip to Indianapolis is their last to an Eastern Conference team, with the other five all against teams in position for the Western playoff bracket. In other words, if they do overhaul the Warriors, they'll have done it the hard way." Yes, the Cavaliers still exist. A year ago, they were about to embark on a playoff run to a fourth straight Finals appearance despite a season of roster turnover and doubts about the future of their leader LeBron James. Now, they're an afterthought, languishing 14th in the Eastern Conference, with just 19 wins on the season and having endured a season at the lower end of the post-James expectations. It's not all bad though. The injury to Kevin Love and cycling through veterans has meant some younger players have got an opportunity to gain valuable experience. Eight of their wins have come in the last five weeks or so. The stretches of winless weeks are gone. Rookie Collin Sexton is showing why the Cavs took him, Jordan Clarkson is stepping up, and Cleveland are winning when it would be easy to have given up on the season. They've won two of their last three, and the loss in their last game to the Clippers could've easily gone the other way, finishing 110-108. The first of those victories was over the Bucks in the Quicken Loans Arena on Wednesday night. Milwaukee are staggering towards the end of the season having dominated through to March and were without presumptive MVP Giannis Antetokounmpo for the 107-102 loss. Malcolm Brogdon and Nikola Mirotic were also out and will miss tonight's game too, though the Greek Freak is expected to play. Obviously, that's huge for punting purposes. Cleveland are one of the form teams on that front in the league, with eight covers in the last ten games. Milwaukee, though, have the best covering rate in the league all season, and are hitting expectations at over 60% at home. That makes them tempting even at -15, but I have to recommend taking the Cavaliers with the points at 10/11. With 11 games left on their schedule, the Nuggets have a puncher's chance of nabbing the top seed in the West from under the nose of the Golden State Warriors. Their recent streak of six straight wins has pulled them level with the defending champions at the top of the standings, with only the tiebreakers giving Steve Kerr's team the higher spot. The Nuggets remaining games split five at home and six on the road. This trip to Indianapolis is their last to an Eastern Conference team, with the other five all against teams in position for the Western playoff bracket. In other words, if they do overhaul the Warriors, they'll have done it the hard way. That should mean they'll be motivated to make the most this game, which is likely the easiest of their remaining away games. It won't be easy, being the fourth of four outside the Mile-High City. They've beaten Boston, New York and Washington already on this journey east, stringing another onto that run will be an impressive feat. Indiana have secured their playoff spot, an achievement given they've played almost half the season without their best scorer. Still, that's a much easier task with the kind of Eastern schedule they've benefited from. At the moment they're lined up to face the Celtics in the first round, and though they may be finish the higher seed, the team from Boston will likely be many people's favourite for the series. Indiana have lost four straight, all on the road, including a game in Denver last week though they made the cover. 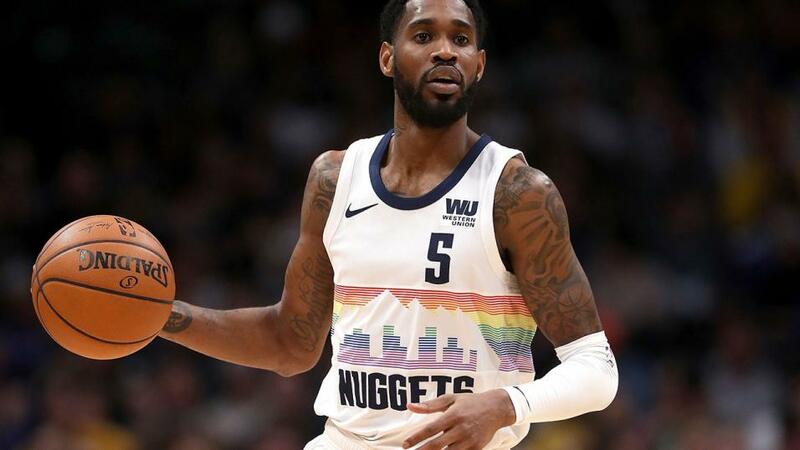 Their home form is much stronger, and the fact this is the last game of four on the road for Denver also makers the Pacers appeal, but with the top seed at stake, I'm inclined to think Nikola Jokic's 7-foot frame rises to the occasion and Denver wins and covers the -1.5 handicap at [1.92]. The Spurs head to Boston having lost their last two games. Prior to that, they were the hottest team in the league with nine wins in a row. A scrappy Miami team put an end to that run with an away win that kept them ahead of the chasing pack for the East's final playoff spot, and then Houston ran out six-point winners when San Antonio visited for an all-Texas clash on Friday. After tonight they skip along to Charlotte before Cleveland, Sacramento and Atlanta all head to West Texas. Those are four games the Spurs would hope to win. With Washington and another game against Cleveland in their remaining fixtures, Gregg Popovich will be optimistic that his team can climb above the eighth seed and probable meeting with Golden State in the first round of the playoffs. Meanwhile, Boston are tasked with overcoming any exertions spent in last night's seven-point loss to the Hornets if they want to win this and put some pressure on the Pacers in the fight for home advantage in the first round. They lost to Philly in mid-week, and that followed that up with a defeat to Denver, so maybe they're not bothered, as they've little threat from those below them in the standings. That kind of form will encourage this evening's opponents. Given the recent form of both teams, it may be something of a surprise to see San Antonio getting points here. Consider the fact that Boston are 3-8-1 against the spread when playing after no rest day, as well as several lingering knocks to their roster, and it's hard not to take the visitor's side here when they're +2 at 10/11.